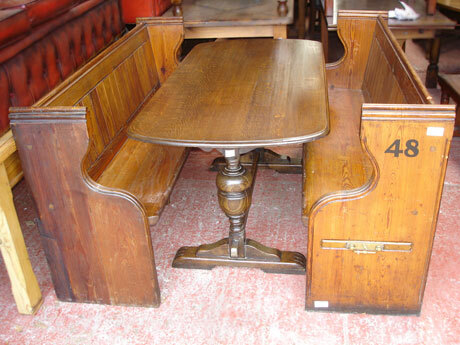 A twelve seater pub table that folds to a six for that bay window, that awkward space against the wall by the loo’s (small, easily movable two-seater) Draw leaf Pub Tables, Drop Flap Pub Tables, Gate Leg Pub Tables, Straight Leg Pub Tables, Folding Pub Tables, Surprise Tables, Magic Tables, Pine Tables, Wine Tables, Wind Out Tables, Extending Tables, Long Pub Tables, Narrow Tables, Low Tables. 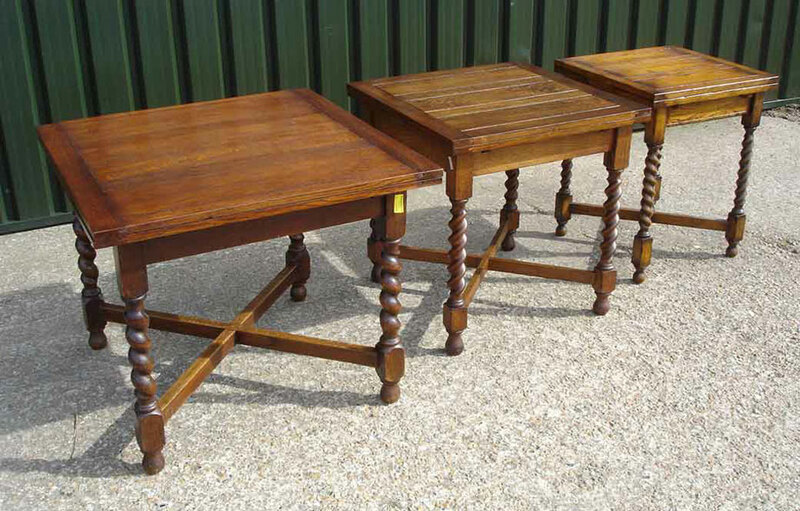 Below are examples of the types of reclaimed tables we stock, you won't necessarily be able to buy these exact ones but you will find similar items for sale. 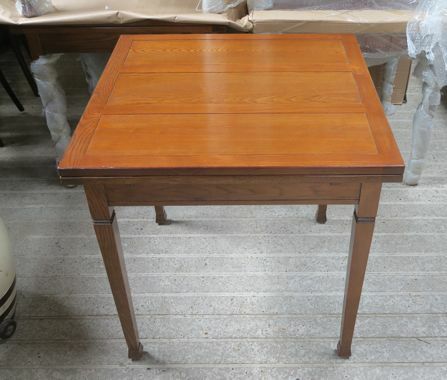 The mainstay of our Pub tables is the draw leaf table which generally comes in three sizes, small 60x60cms, medium 76x76cms and standard 90x90cms. Each table has two leaves which can be pulled out to increase the size. 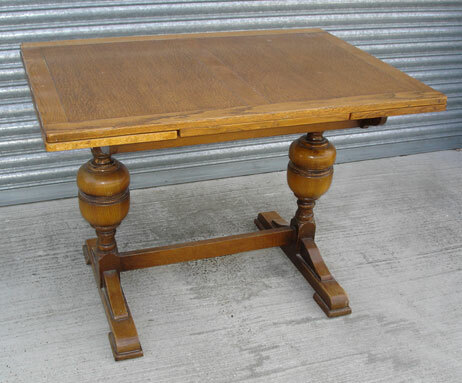 We always have a good supply of these pub tables, although the small ones are much harder to find. 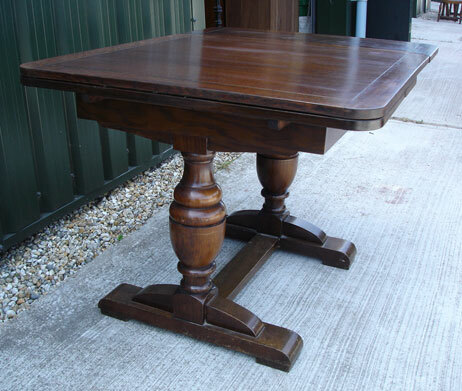 The photo below shows draw leaf pub tables with a "barley twist" leg. This is probably the most common, but they were made with a variety of leg styles. 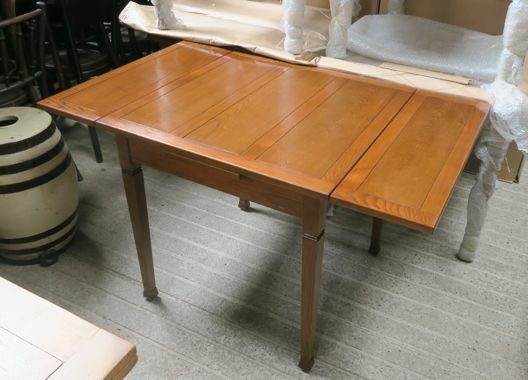 Sometimes you'll find that you perhaps have fixed seating against a wall and four leg tables can make it difficult for people to sit down, thats where the Pedestal Draw Leaf Pub Table comes into its own. 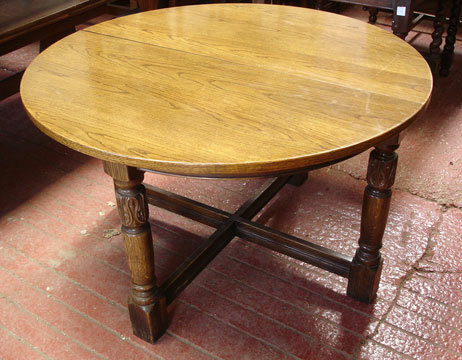 The central legs of a pedestal means that people won't knock their legs as they sit down. These also come in a variety of sizes, and also have extending leaves. 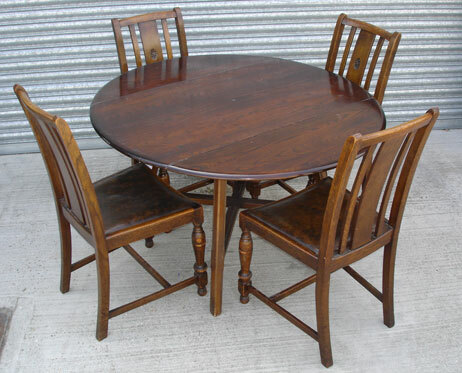 Our round pub tables come in all sorts of shapes and sizes and look good using 1940's oak chairs or bentwood chairs. 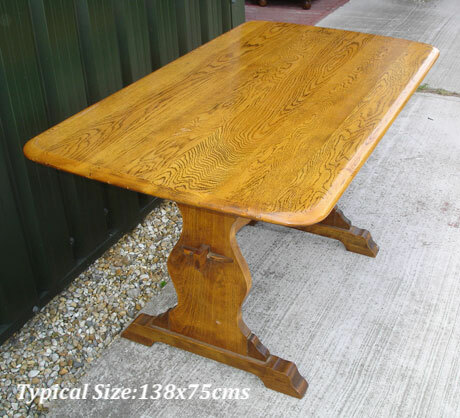 We have all manor of Refectory pub tables, the Ercol Refectory being one of the most popular.They usually come in dark or light oak, with 150x 75 being the standard size. 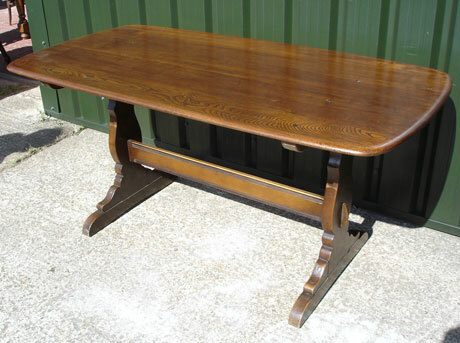 Refectory Pub Tables can look really nice accompanied by old pews. 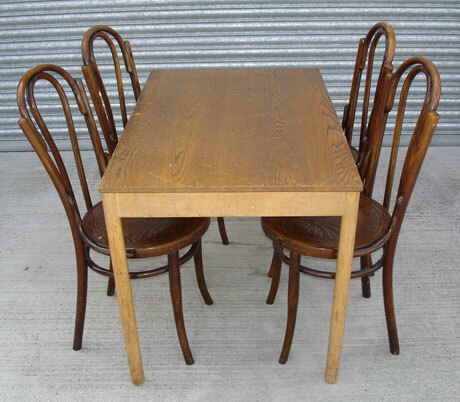 We have 6 of these interesting rectangular Ercol Pub tables (107x69cms), shown here with some Bentwood chairs.